To help California wildfire survivors, The Community Foundation of Western Nevada and Dickson Realty are urging Northern Nevada residents to donate to trusted organizations. Motivated by a concerned donor, the Community Foundation compiled the below list of vetted and recommended organizations that are helping California wildfire survivors. These organizations are working directly with those affected by the Camp Fire in Northern California and the Woosley Fire and Hill Fire in Southern California. 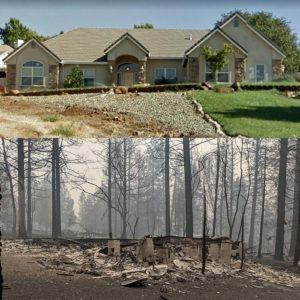 A home photographed before and one day after a California wildfire. Photos provided by nevadafund.org. Primarily, The Community Foundation of Western Nevada urges individuals to donate money if possible. Disaster experts also recommend giving cash, which allows on-the-ground agencies to direct funds to the greatest area of need, support economic recovery, and ensure donation management doesn’t detract from disaster recovery needs. “All too often during the aftermath of a disaster, clothing and toiletries become a distribution, warehousing and logistical burden for organizations,” according to the Community Foundation’s website. The Community Foundation also suggests checking the North Valleys Community Foundation’s website to learn what and how to give. The Salvation Army needs monetary donations to provide ongoing and future assistance in the Butte County area. In-kind donations are not currently being accepted outside the disaster area. However, these gifts are vitally important to your local Salvation Army. To give items locally, visit com or call 1-800-SA-TRUCK. The California Wildfires Recovery Fund will support medium and long-term recovery needs that will continue to surface throughout the wildfire-affected areas of California. 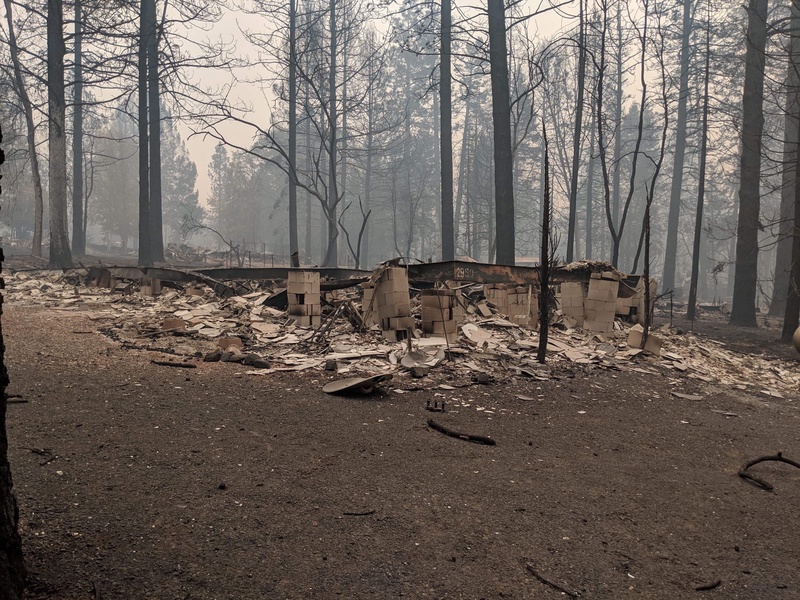 Headquartered in Chico, the North Valley Community Foundation’s Camp Fire Relief Fund assists the many community organizations serving California wildfires survivors and evacuees, and first responders. Donations to the United Way of Northern California’s NorCal Disaster Relief Fund assist relief and recovery operations in Shasta and Butte counties. The organization provides emergency cash grants to California wildfire survivors who lost their homes. It also provides help for survivors through other United Way activities and programs and other non-profit partners. The California Fire Foundation’s Supplying Aid to Victims of Emergency (SAVE) program provides direct assistance to California wildfire survivors who have suffered catastrophic losses in the Camp Fire and Woolsey Fire by distributing $100 SAVE gift-cards. The organization also gives emergency short-term financial support to fire and natural disaster victims in California year-round, including both firefighters and civilians. 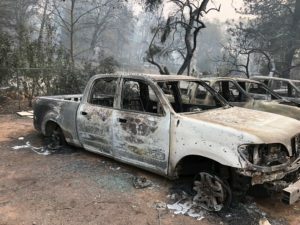 A truck burnt in the Camp Fire in California. Photo provided by nevadafund.org. The Community Foundation of Western Nevada also recommended several organizations to support to help those affected by the Hill and Woolsey fires in Los Angeles and Ventura counties. The Southern California Disaster Relief Fund primarily provides long-term support to help low-income individuals and families affected by the Hill, and Woolsey fires rebuild their lives. For more information, visit nevadafund.org. Previous article Expert Opinion: Is the Reno Real Estate Market Slowing Down?